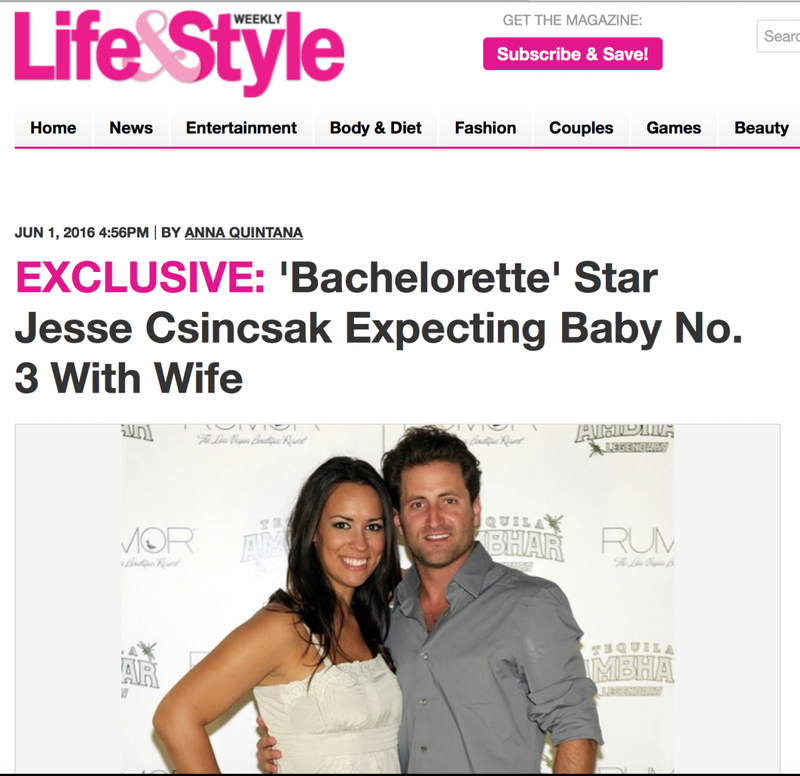 Congratulations are in order for Bachelorette alum Jesse Csincsak and his wife Ann Leuders — the couple reveals exclusively to Life & Style that they’re expecting baby No. 3. “We have always wanted more children and because both of our businesses are in a great place we felt like now was a perfect time to focus on family,” the former pro snowboarder says, sharing that the baby is due around Christmas time. Jesse and Ann, who appeared on Jason Mesnick‘s season of The Bachelor, are already parents to son Noah, 5, and two-year-old daughter Charlotte, and have been busy brainstorming names, though they don’t know the gender yet. So what does the Season 4 winner think of his kids taking part in a reality dating competition? “Hopefully The Bachelor show retires itself before our kids have a go at it,” he says.